It takes a village to bring home a village. 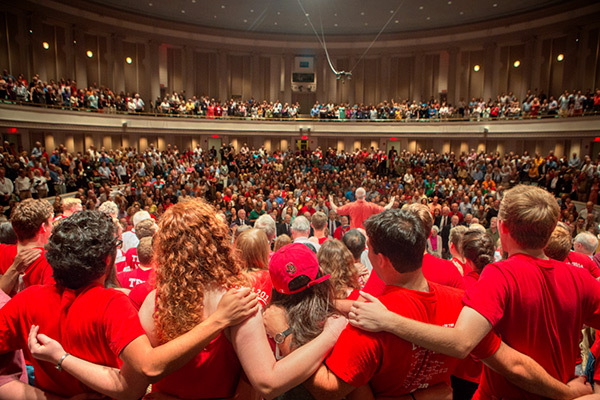 At Reunion 2017, June 8–11, an expected 7,500 Cornell alumni, friends, and family will get a Big Red welcome from 500-strong alumni volunteers, more than 100 student workers, and hundreds of organizers on and off campus who have helped plan more than 400 events and activities. 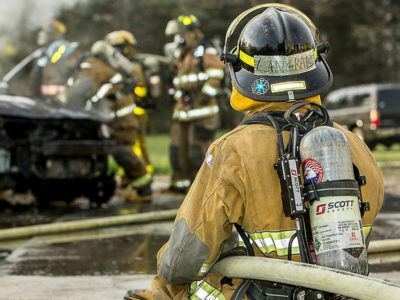 “These events wouldn’t be possible without the contributions of colleges, units, professional schools, and the leaders of classes participating this year. Reunion is unique every time because of all these different lenses,” said Lisa Bushlow ’91, who directs the Class Programs in the Division of Alumni Affairs and Development, a team working year-round to coordinate all Reunion efforts. Reunion is a highlight of alumni life, bringing diverse Cornellians closer to Cornell and to each other, according to Bushlow. Those who have already registered span generations, affiliations, interests, and locations—with the farthest traveling from Singapore—and their numbers are expected to set a record on the Hill. Twenty-three groups are reuniting. Because Reunion marks five-year cycles, classes ending in 2 and 7 form the bulk of those returning this year. The Class of 2012, in particular, is set to arrive in full force for its first gathering, with more than 900 already registered, the most for any class. And for only the second time ever, an 80th Reunion is expected, with at least one representative from the Class of 1937. 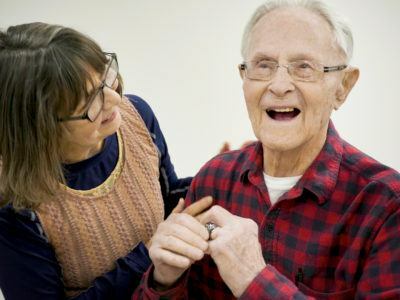 To celebrate cross-generational ties, the youngest class will be handed its Reunion banner by the oldest class at the “Passing It Forward” ceremony that traditionally kicks off the weekend. In addition to undergraduate alumni, Cornellians from three professional schools—Johnson, the Law School, and the College of Veterinary Medicine—will welcome back more than 650 alumni from 10 countries. Cornellians will have plenty of opportunities to bond with classmates and to spark friendships with other alumni—from the late-night tent parties that light up the Arts Quad to Cornelliana Night, featuring performances by former members of the Cornell University Glee Club and Chorus. 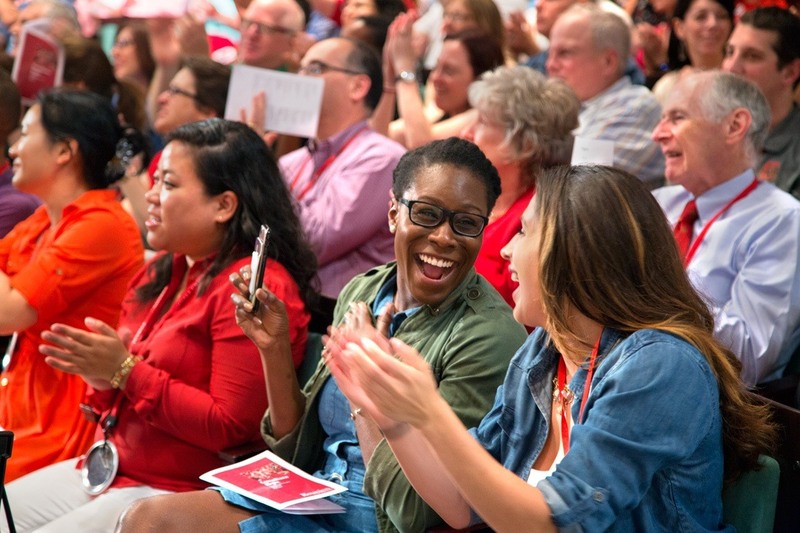 Reunion will also help Cornellians catch up on what they missed the most about the university: gaining insights from deans and professors, getting a pulse on student life, exploring old and new buildings, and enjoying the beauty of campus in warm weather. Among these kinds of events are 40 tours and more than 20 talks, including “A Conversation with President Martha E. Pollack,” Cornell’s 14th president. Reunion is expected to draw crowds for public events like the Reunion 5K and presentations by prominent alumni including Pulitzer Prize-winning composer Steve Reich ’57 and Emmy Award-winning scientist Bill Nye ’77. 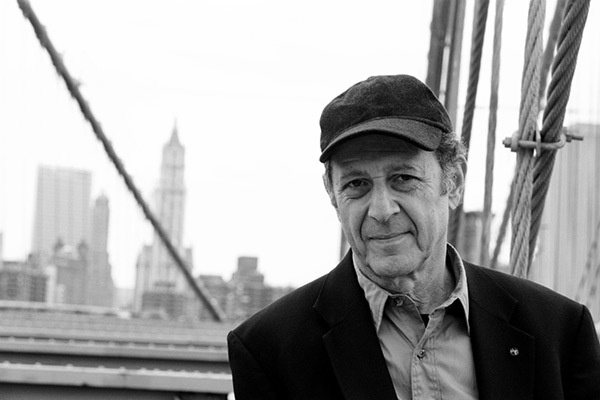 Reich’s Olin Lecture, June 9 in Bailey Hall, will feature a performance of two of his compositions by Ensemble Signal. 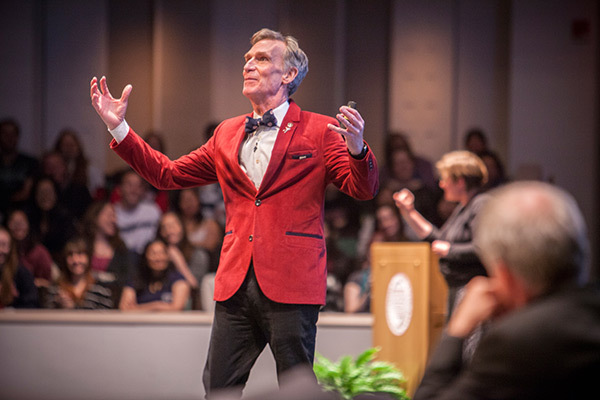 Nye will deliver “Everything All at Once—How Cornellians Will Save the World” June 10, also at Bailey Hall. Classes and groups work together to enrich the Reunion experience, sponsoring events for all attendees. 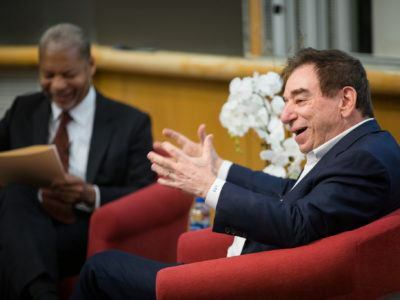 These include a family-friendly “festival” on the Arts Quad, as well as thought-provoking forums on a range of topics—from reforming immigration policies to finding cures and treatments for neurological diseases. Through gifts, classes also make a difference for Cornell. To date, Reunion Campaign volunteers have helped raise more than $105 million from 6,000 donors in support of scholarships, faculty recruitment, and other university priorities. 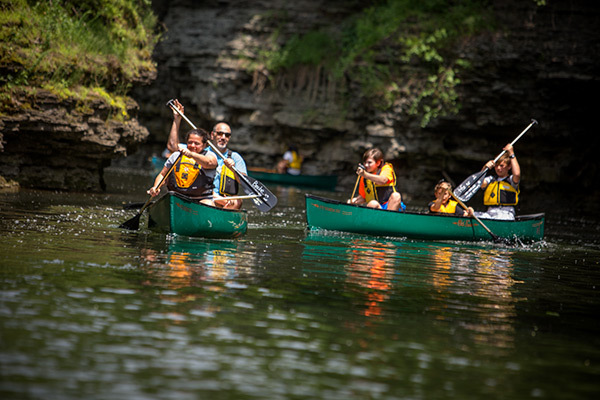 The influx of Reunion-goers is a yearly boon for Ithaca. Bushlow estimates that Reunion registration fees generate $1.75 million, benefiting local hotels, restaurants, caterers, transportation providers, and other vendors and establishments. “By the time the weekend is over, we expect to have ordered more than 10,000 bagels and more than 10,000 pounds of ice, and rented more than 12,000 tables and chairs. And our dedicated shuttles will have made 275 loops around campus,” Bushlow said. To share the Reunion experience with Cornellians across the country and around the world, several key events will be live-streamed and recorded for posterity. “We know that not everyone can come back to Ithaca, so we wanted to bring Reunion to our alumni, wherever they may be,” Bushlow said. She and her team also help implement “non-Reunion reunions.” Coordinated by volunteers in cities around the world, this year’s events will be held in Seattle, Chicago, Denver, Boston, Washington, DC, New York City, and London. Stay tuned for the live streams.